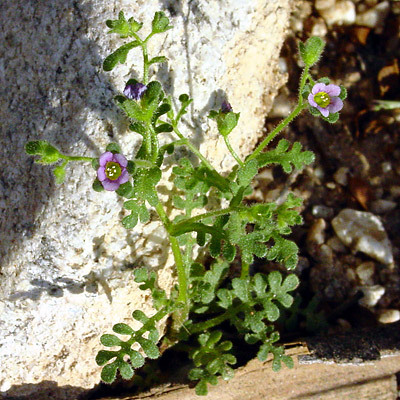 Description: The bell-shaped flowers are usually less than 1/2 inch (1.3 cm) wide and have 5 rounded lobes and a green center. 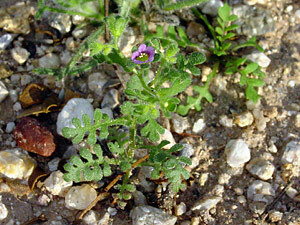 The leaves are green, hairy, pinnately lobed, and up to 2 inches (5 cm) long. The plants are glandular, weak-stemmed, and covered in prickly hairs.